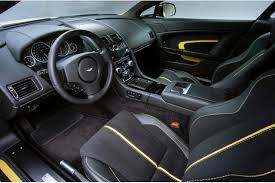 The new Aston Martin V12 Vantage S assembles the best in automobile engineering. 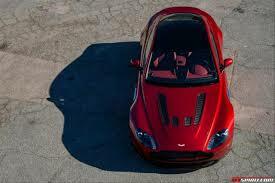 15 kilos lighter than the V12 Vantage, the new V12 Vantage S makes a grand entry into the lighter car segment. 573 PS power, 620 Nm of peak torque, with enhanced low and mid-range power, the new generation AM28 engine forces this little beast to a top speed of 205 mph. It also employs new seven-speed AMT transaxle gearbox, enabling seamless gear shifts at high speeds. New carbon ceramic brakes, delayed anti-lock braking technology, coupled with new carbon grille, new roof and rear graphics, marries style with engineering.